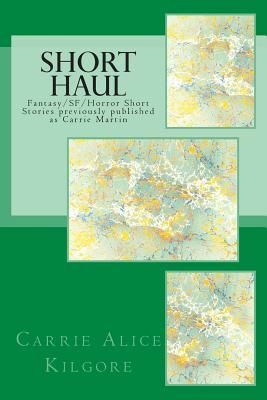 Fantasy/SF/Horror short stories previously published as Carrie Martin, including: MEAT: Nebula Award nominee, Theodore Sturgeon Award nominee. EIGHTY SHEN: Cauldron First Place winner. THIEF'S CONFESSION THIMBLEFUL OF MAGIC: Cauldron First Place winner. SHADDERS: Cauldron First Place winner. THE TANGLE BEATING THE SWEEPS.